The awe-inspiring acceleration of Japan’s Aspark Owl really needs to be seen to be believed. When you think of the world’s fastest supercars, chances are the obscure Aspark Owl doesn’t immediately spring to mind. We know, it’s a weird name for a supercar. It’s one of several electric supercars currently in development, so the Japanese company needed to stand out. At last year’s Frankfurt Auto Show, Aspark presented a concept version of the Owl, which it claims will be the when it enters production, touting an astonishing 0-62 mph acceleration time of less than two seconds. This is made possible by the car's lightweight, all-carbon body and two 40kW electric motors sends a combined 429 hp and 563 lb-ft of torque to all four wheels. That may not sound like a lot of power, but the Aspark Owl only weighs 1,900 pounds. 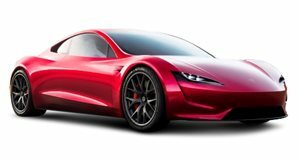 Unlike Tesla, which offered live demonstrations of the new Roadster’s phenomenal acceleration, there was no proof to back up Aspark’s ambitious claims. Until now. A new video has emerged showing Aspark testing the electric supercar’s acceleration using a working prototype. The result? 0-62 mph took just 1.92 seconds, which puts it in Tesla Roadster territory. According to , it even beat the Roadster in a separate run, posting a 0-62 mph time of 1.87 seconds. Using V-Box data sent by Aspark, also worked out that the electric supercar did the 0-62 mph sprint in 1.6 seconds when accounting for a one-foot roll-out. In the same conditions, the Tesla Roadster achieved the same sprint in 2.28 seconds. Those are some impressive statistics, but there are a couple of caveats. As points out there are no on-screen speedometers or timers recording the speed to validate Aspark’s claim. Secondly, the prototype was running on slick tires, but Aspark insists the road-legal version will still achieve 0-62 mph in under two seconds. Just as staggering as the supercar’s rapid acceleration is the driver had to reach 60 mph and bring the car back to a standstill on a surprising short stretch of road, as the test seems to have been carried out in a parking lot behind a warehouse. It could have easily ended in disaster, but it’s a testament to the automaker’s confidence in the supercar’s capabilities. Time will tell if the final production car can match the prototype’s impressive performance, but Aspark certainly now has our attention. Aspark is planning to put 50 Owl supercars into production, each with a price tag of around $4.4 million.